ABU DHABI, United Arab Emirates — As the United Arab Emirates prepares to host Pope Francis in February, the country’s minister of tolerance said the first-ever papal visit to the Arabian Peninsula will contribute to building bridges at a time of growing nationalism and insularism around the world. Sheikh Nahyan bin Mubarak Al Nahyan spoke with The Associated Press on Thursday, ahead of Pope Francis’ Feb. 3-5 trip to the UAE, where Islam is the official religion. The pope is scheduled to join leading Sunni Muslim clerics and other religious figures in an interfaith meeting in Abu Dhabi and celebrate Mass with Catholics living in the region. Foreigners make up the vast majority of the UAE’s population, and Hindus, Christians and Jews are permitted places of worship. Authorities have suppressed political dissent, however, jailing activists and curtailing human rights work. 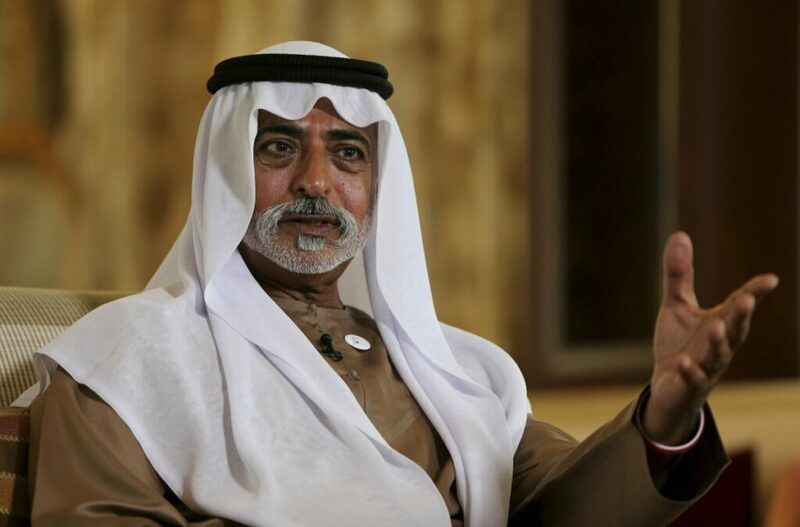 Al Nahyan was appointed the country’s first minister of tolerance in 2017. It is one of several unique government posts created in recent years, along with ministers of state for happiness, artificial intelligence and youth. He said the Ministry of Tolerance aims to build bridges and break walls that “some people try to erect to hide behind.” He said he has been tasked with reaching out to UAE residents of different faiths and backgrounds, in order to make them feel safe and respected. “Our definition of tolerance is to understand the other, to talk to each other– at the same time keeping our own differences,” Al Nahyan said, speaking from his Abu Dhabi majlis, a traditional meeting space of large woven rugs and walls lined with cushioned seating. “It’s a beautiful mosaic, our differences, whether it’s in our religions or culture or other habits,” he said. The UAE has declared 2019 its “Year of Tolerance.” The public and private sectors have been encouraged to rally behind the state’s yearlong initiative to promote the country as a beacon of tolerance where some 200 nationalities live and work peacefully. The UAE is comprised of a federation of seven emirates that includes the tourist-friendly metropolis of Dubai. The country sits on the eastern edge of the Arabian Peninsula and is home to about 9 million people – nearly 8 million of them foreign residents. Despite the country’s public push for tolerance, the government continues to crack down on opposition activists, particularly individuals or groups suspected of having links with the Muslim Brotherhood and its affiliates. The UAE has branded the Islamist group a terrorist organization and views it as a threat to the country’s system of hereditary rule. “If this is not controlled, believe me, there would be a worse situation,” he said. The country’s constitution guarantees the freedom to exercise religious worship on condition that it does not conflict with public policy or violate public morals. Laws also prohibit discrimination, abusing any holy shrine and insulting any religion. Indians make up more than a third of the UAE’s population, with around 3.3 million residing in the country. There is a Hindu temple in Dubai and a large one being built in Abu Dhabi on land donated by the country’s rulers. The UAE is also home to around 1 million Catholics. In addition to several Catholic churches, there are numerous churches in the UAE belonging to other Christian denominations, a Sikh temple and a space for Jewish worship. Al Nahyan said the pope’s visit highlights the UAE’s openness to people from around the world. During his visit, Francis is scheduled to meet Sheikh Ahmed el-Tayeb, the grand imam of Al-Azhar, Sunni Islam’s foremost religious institution based in Egypt. “This is the strongest message to send to those who are trying to divide us, to those who are creating mistrust between us,” he said.